MORE than two in three Queensland women don’t like what they see in the mirror, yet many don’t do anything about it. 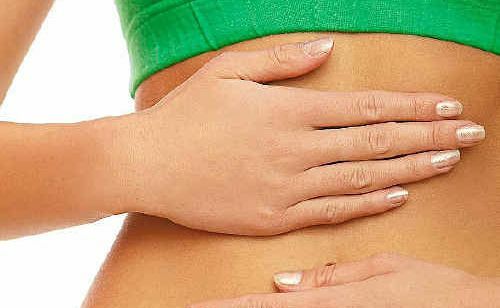 According to Galaxy Research and Activia Yoghurt, every month 67% of Queensland women feel lethargic and irritable, due to stomach bloating. Eight in 10 (76%) sufferers lost confidence in social situations, and 83% felt unattractive when bloated. Activia ambassador, nutritionist Zoe Bingley-Pullin says digestive discomfort is a common problem. Colourful fruits and vegetables are packed with vitamins and disease-fighting antioxidants. Balance energy foods, functional foods and regulating foods for essential nutrients. Breakfast should account for a third of nutrients and calories. Enjoy fresh fruit juices, mineral-rich oats and grains, and yoghurt. Eat nutritious foods for a lasting energy boost. Eschew sugary food or drinks. Opt for a juicy apple, a handful of ripe berries or a tub of yoghurt.